New Emirates aircraft is taking first class aviation to new heights! 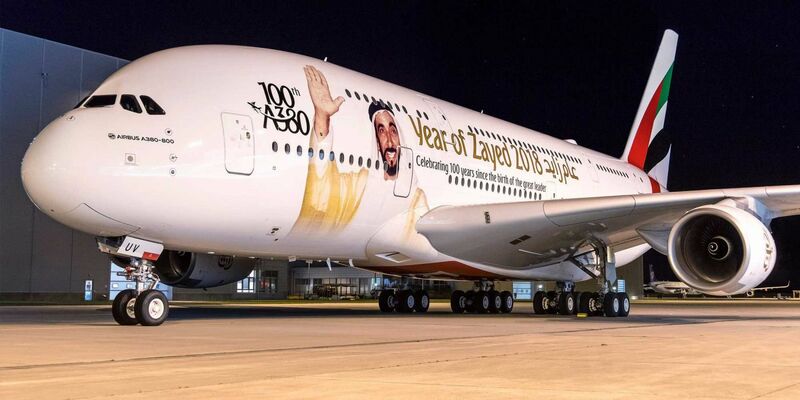 Comments Off on New Emirates aircraft is taking first class aviation to new heights! New Boeing 777-30 aircraft, owned by Emirates, has undergone a vast upgrade, to now proudly boast private suites inspired by Mercedes- Benz. The brand new, first-class suites are fully enclosed from floor to ceiling. With zero gravity reclining seats and virtual windows which broadcast real- time images for customers in the central suite. Business class flyers are equipped with 23inch LCD screen and a mini bar at each seat. Economy class has also been upgraded with a new entertainment system. The new addition to the Emirates fleet was showcased at the Dubai Airshow in November and is now available for bookings. Dubai: Emirates’ recently unveiled Boeing 777-300 aircraft, featuring luxury cabins, has already made its first flight and a new video has been released to celebrate the milestone.